Due to a recent strengthening of the dollar, the American press has been touting the appeal of European travel on a budget. CNN Money offers one of the best explanations of what’s making travel in Europe cheap. Add this fact to time-proven, cost-effective travel strategies, and American travelers can relax and enjoy European experiences without worrying about money—at least until the dollar weakens again. No matter what the exchange rate, traveling in Europe on a budget requires planning ahead to learn about discounts, off-season prices and other cost-effective options. The cost of air travel, lodging, food and attractions varies widely among different European countries, and prices rise sharply during busy times. There are pluses to less-popular locations and the off season, however. Crowds are thinner, lines are shorter and there are more opportunities to meet local residents. Getting from one place to the other is, of course, one of the priciest parts of a European trip. Thanks to the Internet, it’s easy to find discounted airfares. Entire airlines have been set up to provide budget travel. However, savings can be eaten up by travel costs to cities from rural airports, and some travelers are uncomfortable with bare-bones flights. Travelers to Europe save money by resourcefully compiling the best combination of international flights and in-country travel. For example, rather than returning to America from the original airport, one leg of the trip can be removed by flying out of the last city visited. Groups save money by renting cars, instead of purchasing multiple Eurail passes. Once in Europe, a Eurail pass is cost-effective for solo travelers. However, visitors should consider purchasing passes that apply only to destinations they plan to visit. For some destinations, buses are the best option. Adventurous travelers prefer bicycling, a perfect way to get to know the country. For the same reason, while in cities, visitors should consider walking when they can. A second priciest portion of European travel is lodging. As with everything else, hotel rates are often lower in the off-season. However, many more options exist, such as rented rooms in private homes. This is common and, with a little common sense, is safe. A formal version of this is the bed-and-breakfast. Hostels don’t provide as much privacy as more expensive hotel rooms, but they cost less and costs can be reduced further by using the hostel kitchen. For travelers who prefer of hotel rooms, a great deal of money can be saved by sharing. It’s important to ask for itemized bills and review fees. 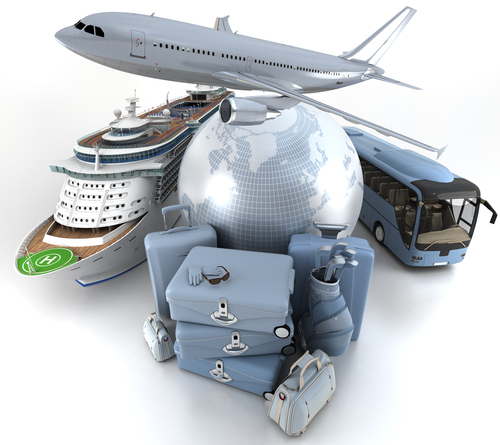 It might be possible to further reduce lodging costs and airfare by purchasing package deals or staying with relatives. The most effective way to eat cheaply in Europe is to purchase food at grocery stores. Stocking up on food removes the temptation of purchasing too many restaurant meals. Every traveler will, of course, want to partake of the famous restaurant foods of Europe. However, if budget is a concern, there are many ways to save. Lunch is almost always less expensive than dinner. Hotel breakfasts are notorious for high prices. It’s often cheaper to order drinks at the bar then at the table. Ask about the day’s special, which is sometimes reserved for locals unless travelers ask. Remember not to over tip — Americans are used to adding 15% to 20% but European tips are customarily less. Ask other customers to learn what’s normal. Low-season prices for European attractions, such as museums, sporting events and theaters, often are lower than during peak times. Because attractions look harder for visitors at this time, coupons might be available. A bed and breakfast host or hotel concierge will know where to find them. Some travel packages include discounted tickets to attractions, and lesser-known attractions usually cost less. As in the United States, many tourist locations allow visitors to enter for free during the last hour of the day or on special days. Entertainment guides list activities that are free for everybody. When travelers need cash, it’s advisable to get it from a low-fee ATM instead of the bank. Banks often waive ATM fees for customers who bank with American affiliates. All of these costs are lower when the dollar is strong. It is expected that American travelers in Europe will be able to look forward to this advantage for some time. However, even when the dollar weakens, these budget options will make it possible to visit Europe on a shoestring.